CPR can be performed on anyone who has collapsed, even if you’re not certain whether they’re under cardiac arrest. When someone’s heart stops, it is no longer pumping blood and oxygen to the major organs in the body. CPR manually performs this function when the heart is unable to do so. Firmly compress the chest about two inches down, at a rate of about 100 beats per minute. Continue to perform CPR until help arrives and they are able to take over. CPR must be administered right away – performing it within the first minutes of a cardiac arrest can significantly increase a victim’s chance of survival. An AED works to restart a person’s heart after it has stopped due to a cardiac arrest. Today, AEDs are widely available public places, such as malls, schools, hospitals, airports, and train stations. If you witness someone under cardiac arrest, dial 911 then seek out the nearest automated external defibrillator (AED). The voice automation feature will verbally walk you through how to use the device and will guide you in providing the proper care techniques to the victim. The sooner you use an AED on a cardiac arrest victim, the more likely it is that they will survive once an ambulance arrives. When treating serious cuts, the most important goal is to stop the bleeding. Where possible, wash your hands and put gloves on before treating a wound. Have the person lie down and cover them with a blanket. Elevate the injured area so that it’s above the heart and examine the wound. Wrap the cut with a cloth or bandage and apply continuous pressure for 20 minutes. Avoid releasing the pressure to check on the bleeding. If the bleeding doesn’t stop, apply pressure to the nearest artery. Main arteries are located just behind the knee, in the groin, on the inner arm above the elbow, and just below the underarm. To compress an artery, press the area against the bone with one hand and continue to apply pressure to the wound with the other hand at the same time. When a person is choking and cannot breathe, begin by delivering five blows to their back with the heel of your hand. This may be enough to dislodge the food or object that is caught. If not, you’ll need to perform the Heimlich maneuver to clear their airway. Begin by standing behind the victim, wrapping your arms around their torso, and placing a fist between their ribcage and belly button. Take hold of your hand with your other hand and quickly pull your fist towards you in a quick upward thrusting motion. Continue until the object is dislodged. The Heimlich maneuver is intended for use on adults – there are a different set of techniques for infants and children which can be learned as part of a BLS certification course. Victims with serious burns should be treated in hospital as soon as possible, but less severe injuries are treatable by running the affected area under cold water for 10 minutes. Do not apply any creams or ointments directly to the skin. Instead, simply let it air dry and do not wrap the area. Acetaminophen (Tylenol) or ibuprofen (Advil) can be administered to help with pain. Extensive burns or those that affect more than the surface layer of the skin should be treated at the nearest hospital. 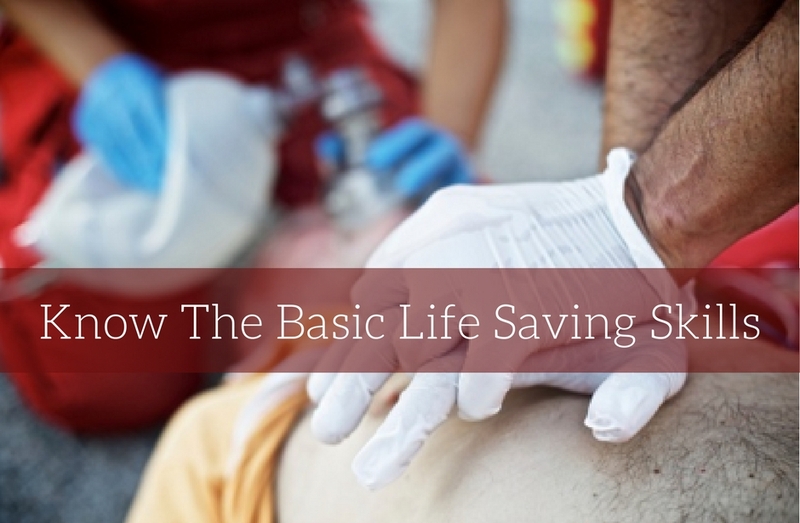 The above techniques are just some of the critical skills learned in a BLS training course. Drowning, fire safety, allergic anaphylactic reactions, and other essential techniques are covered in BLS certification courses, which are designed to give individuals the tools required to react to emergencies and save lives. Consider completing a BLS training program to enhance your knowledge so you can help those around you in any emergency situation.